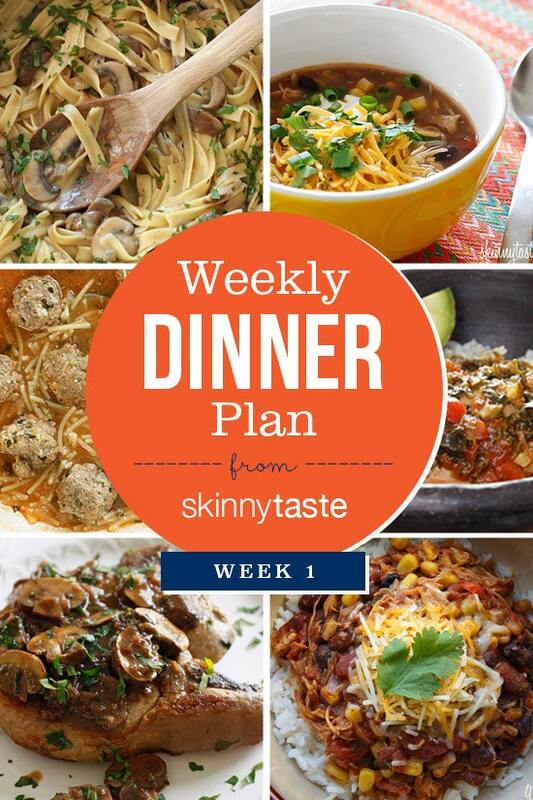 I’m so excited to share The Skinnytaste Meal Planner with all of you! I truly believe that the best way to achieve your goals is to hold yourself accountable along the way. When I began my journey a few years ago, I found that the two things that helped the most were cooking my own healthy dinners at home where I was in full control of what went into my meals and tracking everything I ate so I could see what (and how much) I was eating which helped clue me in to my eating habits and how to make better (and healthier) choices. Plan your meals for the week. Make a shopping list. Go shopping! Write it down, make it happen! Track what you eat, log in your activity for each day. Plus there’s lots of great tips and positive inspiration to help you along the way. The on sale date for the meal planner is October 13th, you can pre-order this on Amazon and have it shipped to your house this week. AND, since SO many of you have asked me to share a weekly dinner plan, I thought it would be fun to share what I plan to cook this week. (I may start making this a weekly ritual). Hello, I’m so excited to be following these meal plans. My question is how many points is each meal? I’m not sure what weight watcher plan I’m on. Or how I would find out? I tried to order this planner today and nobody has it??? I know your meal plans are for dinners but just wondering what do you have for breakfast and lunch? Do you strictly just write down dinners? Definitely going to buy this book! Thanks for all your wonderful recipes I have made so many of them and have loved them so much! Breakfast, usually eggs, avocado toast or oatmeal. Lunches vary, salad, soup. Just depends! I am allergic to mushrooms, what can I use in place of the mushrooms? I just purchased this and two of your cookbooks from amazon. I excited to try it. I really, really love this. 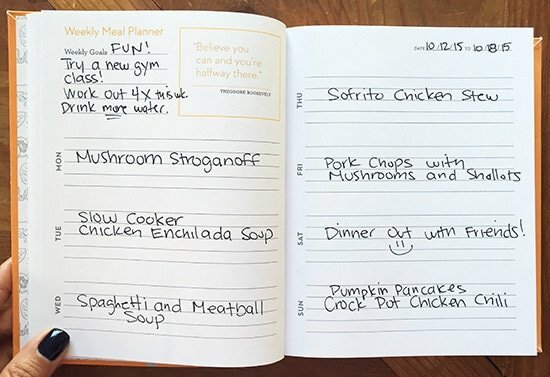 A friend turned me on to your sight, I bought your book last year, and I didn’t realize that you had these meal plans posted until a couple of days ago. We just started them and I went to the store yesterday. I can’t tell you how much I appreciate the shopping lists and the recipes. This saves me so much time, so much money (I stick to your list…..no more aimless shopping or over-buying and wasting of produce! ), and is the perfect thing to jumpstart our decision to eat better! Thank you, Gina!! Great! Glad you are using them! Do you hve a cookbook that has the daily 52 week recipes? It sounds like you do, but I can’t figure out what the name of it is so I can order it. Help, please! Do you have any meal plans for breakfast and lunch? What about snacks? Sorry, just dinner plans at this time! Hi I just joined WW and was looking for new recipes to try and found your site. Journal and cookbooks ordered and Ive printed the week one recipes. I was totally lost but now I feel much better since finding your site. Thanks for posting such delicious recipes. Hey Karen – thanks so much for putting this list together! I know Gina started doing them for some of the later weekly meal plans, but I’m starting with this one, so I really appreciate you doing it! Cheers. I wish I would’ve scrolled down to see this when I was making mine. My shopping list blew away when I got to the store lol. I then had to go home and remake one. Can't wait to try these. Love your nail polish. ? Have you thought about posting the shopping lists for the meals? I'd be willing to pay a subscription fee to be able to download the shopping list and weekly recipes…like the Fresh 20 does. Your recipes are so much better. Is there a shopping list for week 1 posted somewhere else on your site? 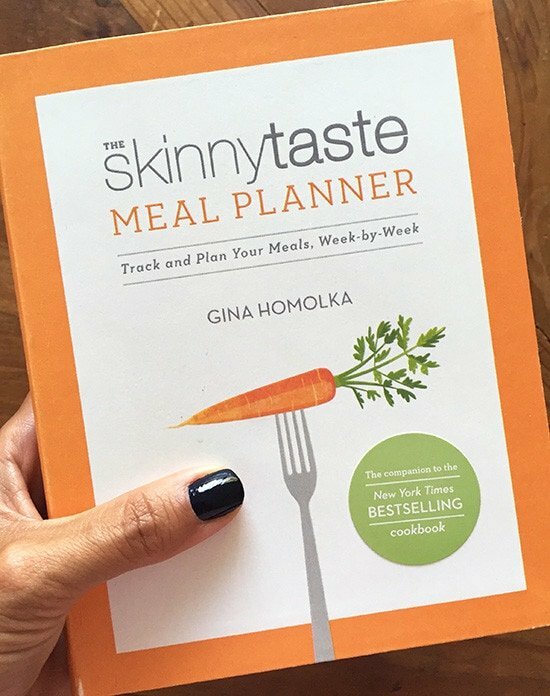 Gina, Thank you so much for the meal plans and all of the work you put into the website, cookbook, social media. You are an amazing help on my path to better eating and a better me! You're amazing!! I am so excited I found this and will be starting with your week one. I have my cookbook and meal planner on order! Thanks and I just saw the others post about a shopping list….is that part of what you post or do we just take care of that ourselves? Thanks for doing this! Where can I find the shopping list for week 1? Any shopping list for week 1? I'm super excited to start this tomorrow! Can you please post a shopping list for week one? This is a great idea, I definitely vote for you to start sharing your meal plans. I'm not the best weekly planner and would love to know how you plan it, and what your grocery list looks like! Love all your recipes, they're super easy and delicious! Do you know if it will be available in any stores? I am not patient enough for online purchases, lol and this is right up my alley! I know Barnes and Nobles should carry it. HI..Preorder this on Monday in hopes of getting by the weekend with our prime acct. Just got email from Amazon it will be shipped between next week and 11/1:( I think in Ginas post said preorder and will ship this week. Anyone else experiencing this. Got mine today from Amazon. Love it!!! It would be awesome if you could make an app like this someday! Hi Gina, Amazon now has it listed but why is it going to take 1 to 3 weeks to get it? Wow, so excited to see this out. I do have a "stupid" question I must ask, does the planner help you with grocery shopping. I see the example listed for selecting weekly meals but is there a section for groceries…Just wondering. No it does not have a shopping list if that is what you're asking. So cool this idea, nice post!!! Looks like a great planning tool. I like things that help make my life more organized. Thanks for sharing. Gina, We've been meal planning now for 8 years and it really does help keep us on track and really once the planning is over, it's an easy week. Since hubby gardens we also plan our meals around our harvest which can be challenging at times. However, we always include at least one of your dishes during our week. Great idea for the planner. I know it will help a lot of people who haven't gotten into planning. That's wonderful, I too find it so much easier planning my week out. One less thing to think about. This is a GREAT way to plan out meals. I still log what I eat in my fitness pal and keep a notebook for my shopping list but I think the key to eating well is having good things on hand by planning. When I plan out my week at a time (snacks too) I have continued success in my goal to eat well, feel healthy and slim down while enjoying the process. Weird maybe for some but I actually like the meal planning process! Its relaxing to me to go through my skinnytaste recipes, get comfy on my bed with a glass of wine and create my grocery list. It's my 'down time'. 🙂 My family is supportive of this down time too because they love to eat. I will definitely order one! Wonderful! I think there is something about writing things down in an actual book that helps things stick. I still use journals for so many things rather than my phone. This is so great, can't wait to get one! I pre-ordered mine on Sunday! Thanks so much for all you do, Gina! Will refills be available after the year is up? Perfect timing! I just started a little notebook with my meal plans. This is much better. In my cart it goes! You must be really fun at parties, Tracy. Tracy, people like you are the reason they have blocking options on so many sights. Glad our Nation was built on people having positive attitudes and input. If you must be petty and tacky, do it somewhere else. Why would you bother to write such a nasty comment? Solely for the purpose of potentially hurting someone's feelings? No one is forcing you to buy it. Yikes. You come across as a real grump. I Love your recipes and appreciate seeing what your weekly meal plan looks like. Thanks for the inspiration!! I just pre-ordered it and I am so excited!! Love that you are sharing your mean plans. I made your spaghetti and meatball soup for my sister-in-law and niece and nephew and they loved it! My sister-in-law could not believe that a soup could be so filling! It must be cool already where you are! It's 89 degrees here in Houston today! No soup for us yet. 😉 So jealous!! We're melting. haha 🙂 Love the planner! Gina, this is one great idea! We'll be eating "with you" this week! What day of the week do you complete your plan and when do you shop. I am having a hard time getting into a routine Thank you for all that you do for us out that that want to be healthy and not feel like we are being repressed from good food. I personally go food shopping on Sundays because my daughter is in school, but you should start your week when it's best for you. 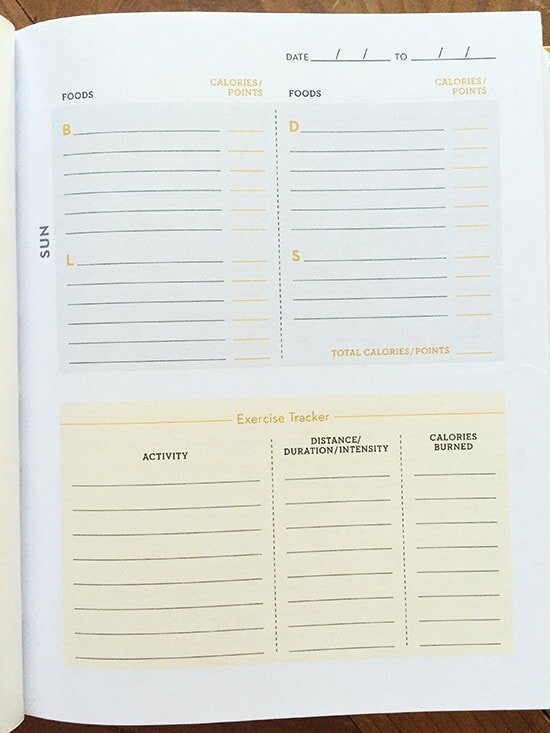 Could you verify this is a 52 week planner? The Amazon description does not say how many weeks are included. Thank you. This is so great! And thanks for sharing your meal plan. I would love if you continue to do so. I am super excited about this!! How many weeks of menus can you do in this?